Delta Dental is the largest dental plan system in the United States. Pacific Life & Annuity Company provides life insurance products, annuities, mutual funds, and various investment products and services to individuals, businesses, and pension plans. It offers traditional and variable life insurance products, such as individual life insurance products, as well as family protection products; structured settlement annuities and general account GICs; and financial planning, retirement planning, and estate planning products. The company also provides educational information, including a list of articles and educational material relating to various investment and planning concepts, such as educational information, retirement concepts, life insurance concepts, estate planning concepts, basic investment concepts, and calculators, as well as taxes, glossary, and other; and health center services. It offers its products through a network of third party broker-dealers in the United States. Pacific Life & Annuity Company was formerly known as PM Group Life Insurance Company and changed its name to Pacific Life & Annuity Company in January 1999. The company was founded in 1982 and is based in Newport Beach, California with locations in Aliso Viejo, California and Omaha, Nebraska. Pacific Life & Annuity Company operates as a subsidiary of Pacific Life Insurance Company. 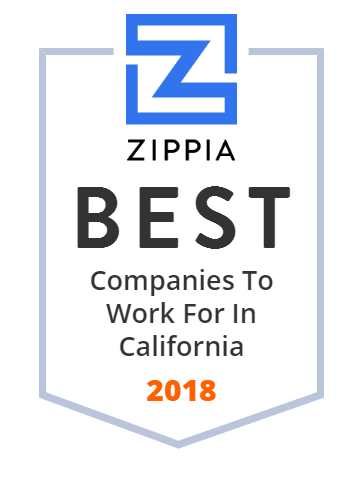 Zenith is the premier specialist in workers' compensation nationally and a leader in property and casualty insurance for the California agriculture industry. They combine depth of expertise with a forward-thinking approach to achieve the highest level of service and outcomes for their clients. This reliable firm offers services in the areas of safety and health, quality medical care, managing claim costs, audit, returning employees to work, fighting fraud and abuse, and more. Mercury Insurance Group offers personal automobile, homeowners, renters and business insurance. Founded in 1961 and headquartered in Los Angeles, California, this multiple-line insurance organization has assets in excess of $4 billion, employs 4,500 people and has more than 8,000 independent agents in 11 states like Arizona, California, Florida, Georgia, Illinois, Nevada, New Jersey, New York, Oklahoma, Texas and Virginia). Christie's innovative visual display, collaboration and audio solutions help our clients, the world-over, create and share the most memorable experiences. Metromile is a San Francisco-based car insurance startup that offers pay-per-mile insurance and a driving app. Founded in 1951 in Northern California, Dittos and Dittos Print have achieved continuous and consistent growth in a competitive, fast-paced and ever-changing marketplace. Located in Modesto, California, Dittos operates one of Northern California's largest and oldest offset sheet fed printing operations. They do printing, offset printing, digital printing, banners and signs, blueprints, and more. eHealth, Inc. com, details prices for various health insurance plans and allows consumers to apply for coverage online. TRISTAR Risk Management is the largest privately held third-party administrator in the industry. This reliable company manages claims for more than 350 alternatively funded entities in both the private and public insurance segments. Within that customer base are thousands of individual insureds who are covered through various insurance carrier and program administrator engagements in which TRISTAR functions as the insurer's outsourced claims department. Insurance Incorporated is an insurance company that has served the Southern California communities since its establishment in 1958. The company consists of independent agents and brokers that represent a variety of insurance companies. Agents at Insurance Incorporated specialize in consulting and educating its clients to help them make the best decision for insurance coverage, also managing clients' risks and protection, finding solutions, and assisting with safety. Based in Riverside, CA, the company has additional locations in Camarillo, CA, Hollister, CA, Meadow Vista, CA, Palm Desert, CA, and Upland, CA. Auto Insurance, Home Insurance, Business Insurance, Life & Health Insurance in Hanford, Fresno, Kings County, Fresno County, Tulare County and San Luis Obispo County. We manage a diversified portfolio of business-to-business rental equipment providers. Check us out for employment and investor relation information. Pacific Mutual Holding Company, through its subsidiaries, operates in the businesses of life insurance, financial services, and other investment-related businesses. It offers life insurance products, annuities, mutual fund, structured settlement annuities, and other investment products and services to individuals, businesses, and pension plans. The company sells its products through its subsidiary and third party broker-dealers. Pacific Mutual Holding Company was founded in 1997 and is headquartered in Newport Beach, California. California Casualty Management Company is in the business of providing individuals with insurance coverage, in particular those in the fields of education, law enforcement, fire fighting, and nursing. The Wawanesa Mutual Insurance Co. is a Canadian insurance firm. Currently, the company's executive offices are located in Winnipeg, Manitoba, with regional offices across Canada and operations in the United States. Rollem International is the leading distributor of Die Cutting, Slitting, Scoring, Creasing, Perforating, Semi-Slitting, Collating and Card Pack Production machinery. Its goal is to provide printers with automated, high-quality finishing equipment. The company has headquarters in Anaheim, California, and offices in New York, Florida, and Illinois. Rollem sells and supports all of its products in-house. Rollem Corporation of America was established in Manhasset, NY as the US distributor for Rollem products. Matrix Absence Management, Inc. provides absence management services, such as customized claim management of disability, workers' compensation, and family leave programs. Their services have been designed to improve both bottom-line financial results and employee relations through superior service and expertise in disability management. They have been serving clients since 1986. Van Beurden provides insurance for all of your business and personal needs. Our offices are in Kingsburg, Los Osos, Templeton and Woodland, CA. GJ Sullivan Co. Insurance Services operates as wholesale insurance brokers and manages specialized insurance programs, holds underwriting pens and brokers individual risks. Its programs include Directors & Officers Liability for health care organizations and Auto Dismantlers and Scrap Dealers. The special risks it covers include earthquake coverage, pollution liability, employed legal counsel, excess liability programs and employment practices liability insurance. Established in 1981 and based in Anaheim, CA. Autumn Press is a political, offset union green printer. We offer the best quality, prices and on-time completion.of your project. Service, Integrity, Value. Since 1939. 4over is an online Wholesale Trade Printer serving US and Canada offering fast delivery and quality printing. To learn more visit 4over.com. BizInsure provides Business Insurance, Errors and Omissions Insurance & Business Owner's Policy to customers in all 50 states. Contact us for fast, FREE quotes! News and tips on car, home, life, health and renters insurance from the expert editors at InsWeb. Contractors nationwide are choosing to Get Empowered! Bid, performance & payment bonds up to $25 million. Wesco Financial, LLC, through its subsidiaries, engages in the insurance, furniture rental, and steel service center businesses in the United States. The company operates in three segments: Insurance, Furniture Rental, and Industrial. The Insurance segment provides property and casualty insurance and reinsurance services, as well as specialized insurance services for banks. Its product portfolio consists of policies for crime insurance, check kiting fraud indemnification, Internet banking catastrophe theft and banking privacy liability insurance, directors and officers liability, bank employment practices, and bank insurance agents professional errors and omissions indemnity for financial institutions, as well as deposit guarantee bonds. The Furniture Rental segment provides rental furniture, accessories, and related services to corporate and individual customers; offers various office and home furnishings, including commercial panel systems, televisions, housewares, and accessories; sells previously rented furniture through its clearance centers; and provides apartment locator and relocation services. This segment provides its products for Fortune 500 companies, small businesses, professionals, and owners and operators of apartment communities through its operating 85 showrooms, 75 clearance centers, and 81 warehouses, as well as 13 Websites. The Industrial segment operates steel service centers to buy and sell stainless steel, low carbon sheet and strip steel, coated metals, spring steel, brass, and other metals for various customers. It also manufactures shim stock and other toolroom specialty items, as well as distributes hose clamps and threaded rod under the Precision Brand and DuPage names through industrial distributors. In addition, the company owns commercial real estate in downtown Pasadena, California. The company was founded in 1925 and is based in Pasadena, California. Wesco Financial, LLC operates as a subsidiary of Berkshire Hathaway Inc. Employee Benefits Reimagined Limelight Health is reimagining employee benefits through innovative and integrated quoting technology. We help health insurance carriers, general agents and brokers achieve higher levels of sales and channel performance. Trend Offset Printing is one of the largest privately-held commercial printers, producing magazines, catalogs, direct mail and retail advertisements. We have become a leader in the custom index tab and binder industry. Labeling Equipment & Labeling Systems from Label Aire. Label Aire has over 50 years of labeling systems and labeling equipment expertise. In business making and selling TIME CAPSULES for over 25 years. Writes a lot about time capsules too. Welcome to your online printer! We're glad you're here! Please use our Web site to learn more about our shop and the products and services we offer, place orders online, view proofs of current jobs, and much more! For over 30 years Best Label Company has dedicated itself to customer satisfaction by printing quality pressure sensitive labels for multiple industries. Big or small, we are willing and ready to help our customers solve their packaging challenges. We help businesses keep their facilities cleaner, healthier, greener & safer. WAXIE Sanitary Supply - The Most Trusted Name In Clean. Since 1945. Paragon Label your choice for top of the line labels for wine, gourmet food, health and beauty aids, or whatever you need a label for! Established in 1967, Crest Coating, Inc. has unsurpassed experience and knowledge in powder coating services and exotic liquid coatings. For over 40 years, they have retained the status of Chemours Licensed Industrial Applicator as well as Approved Applicator for Whitford Xylan(r), Halar(r), BCS Technologies, and other exotic coatings. In this ever-changing industry, Crest Coating, Inc. continually keeps pace with the latest developments in coating products, equipment and application methods. Auto Insurance, Home Insurance, Business Insurance, Life & Health Insurance in Madera, Oakhurst, Fresno, Sacramento, Chowchilla and Mariposa. Fox Insurance offers affordable and low cost insurances like classic auto insurance, homeowners insurance, boat insurance, life insurance, health care insurance etc. Headquartered in Stockton, California, Golden Bear is a leading provider of commercial property and casualty, professional liability, and residential insurance. This trusted family-owned and run company creates tailored solutions for unique and emerging risks in partnership with their brokers and customers. Golden Bear helps businesses and individuals stay ahead of evolving risks with products customized to protect them. MatterHackers is an Orange County-based company founded in 2012 that supplies 3D printing materials and tools. Custom labels, overlays, NFC/RFID Labels, Nameplates, and Overlays. Emerald Packaging is one of the largest flexible packaging manufacturers on the West Coast and one of the biggest suppliers of produce packaging in the country. Serving the Technology needs of small business's since 1955. We specialize in provding a broad range of products and services to meet our customers needs.